As the name suggests the procedure involves the lifting or resuspension of the face. This produces a rejuvenated appearance. As one ages gravity and diminished skin elasticity take their toll and the facial tissues droop. The excessive drooping of soft tissue in some places relative to its attachment in others gives the appearance of deep wrinkles. The resulting problems are variously described as ‘jowls’, ‘baggy eyelids’, ‘turkey gobbler neck’. While various creams and good skin care can reduce the rate at which these changes take place they are an inevitable consequence of ageing. Surgical correction addresses the problem by resuspending the tissues involved and removing excess stretched tissue. It ‘turns the clock back’ but ‘doesn’t stop it ticking’. The procedure performed depends on the facial features one is trying to rejuvenate and can in fact be a combination of procedures. The term facelift then can mean many things. Cuts used to perform this are placed around the ears and carry through into the hair behind the ears. 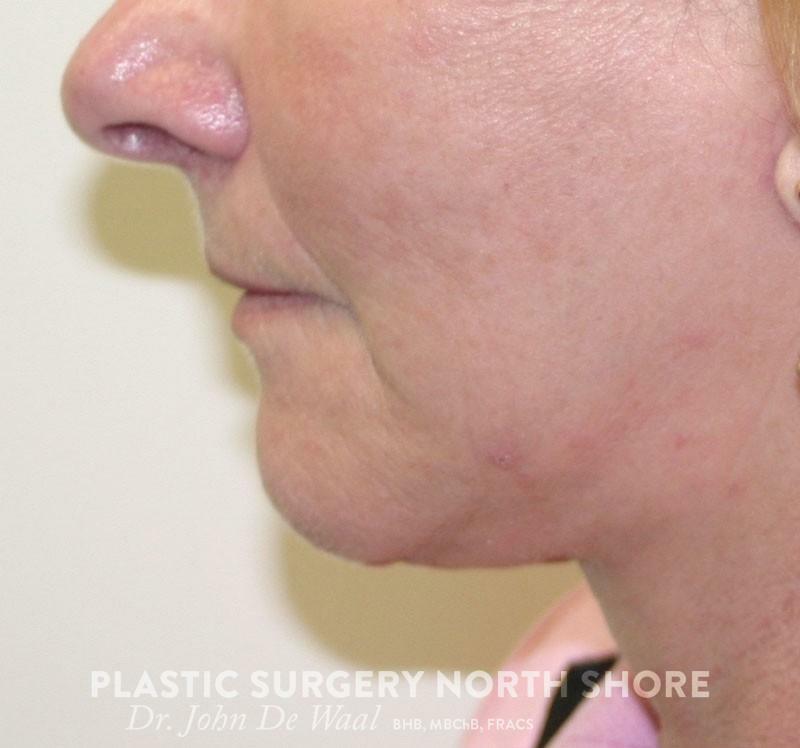 The tissue (skin and deeper tissue) over the cheeks and neck is freed up, re-suspended, the excess cut away, and the tissue sewn into its new position. Techniques can be included to give the impression of wider cheekbones. As the name suggests this is a smaller version of a facelift. It is sometimes called an ‘S-lift’ or a ‘MACS’ lift. 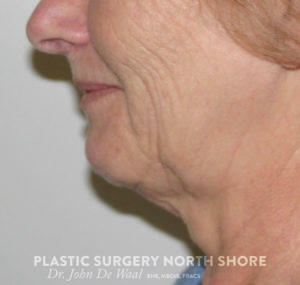 These procedures are primarily designed to tighten the jawline – and have a more limited effect on the cheeks. An more limited technique again – a ‘Fogli’ lift is designed to tighten the jaw line only. These technique do not produce the full effect or durability of a traditional facelift but have the advantage that they can be done under a local anaesthetic (although they are still moderately lengthy procedures that require some stoicism). As smaller procedures they cost less and significantly so if performed under a local anaesthetic. Wrinkles here are addressed with a ‘browlift’. The tissues of the brow are again freed up and re-suspended. This diminishes forehead wrinkles and lifts the eyebrows. It gives the upper eyelids a less heavy appearance. A browlift can be done to lift the entire brow or just the outer half which tends to droop the most. A so-called ‘blepharoplasty’ addresses the problem of ‘baggy eyelids’. Cuts are made in the shadow area of upper eyelids and immediately beneath the lashes of lower eyelids and again tissue re-suspended and excess removed. Bulging fat deep to this tissue is often also removed. The cuts in the eyelids generally heal exceptionally well and are difficult to detect even on close inspection. As well as the removal of excess skin and increasing jawline definition which occurs as a consequence of a facelift, the ‘turkey gobbler’ appearance of the neck can be directly addressed by the tightening and repositioning of some of the neck muscles and the liposuction of excess fat. Thin lips can be given a fuller appearance in the short term by injection or hyaluronic acid (restylane or equivalent products). A long-term effect is produced by the insertion of a strip of dermis (a deeper layer of the skin) into the lip. This is usually taken from the groin or the temple within the hairline where the scar is easily hidden. An alternative is injection of fat. There are some long-term artificial ‘plumping materials’ available but these have a higher rate of complication. Hematoma – blood can accumulate under operated tissues. If it does it needs to be removed (surgically) as it can compromise the survival of the tissues involved. Hair loss – around the scar line in the hair, making it more apparent. If this occurs it is often temporary. If it becomes noticeable it can be addressed. Nerve damage – the most feared of facelift complications, it is very rare, although it is not unusual to have a temporary weakness of the lips in the first 1-2 days following the procedure. Scars of poor quality – occasionally scars become more apparent than ideal. There are many factors involved in good scar formation and while in most cases they can be avoided or revised, troublesome ones occasionally do occur. These vary widely according to what is done.